Have you been trying, without luck, to lose weight? 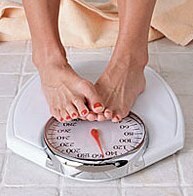 Or maybe you’ve been searching for a reliable way to maintain your weight, or just want to prevent seasonal weight gain. If so, Pharma Nord claim their B-Slenda fat binding tablets could be the answer to your prayers, but can their tablets really help you “say goodbye fat!” or are they just another dietary product marketed on the back of unobtainable promises? Let’s take a look a closer look and see if they really are an effective way for “reducing the uptake of calories from fatty food”. What is B-Slenda and how does it Work? 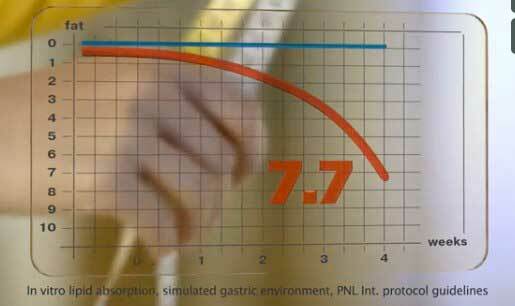 B-Slenda is a weight-management product produced in Denmark by Pharma Nord and marketed all over Europe. The company develops and manufactures a variety of dietary supplements and appears to have a good reputation for producing quality products. B-Slenda is designed to work as a fat binder. Effective fat binding products assist weight management and weight loss by reducing the amount of fat the body absorbs from ingested food and causing the majority of it to be passed as stool. The theory is sound, and fat binders can and do provide the kind of results Pharma Nord promise, but some product work better than others and not all of them work at all so let’s examine the product a little more closely. Pharma Nord provide very little information about the contents of the tablets, but the main ingredient in B-Slenda is a patent-protected formulation, called FibrePrecise, that contains the compound Chitosan. Chitosan is usually sourced from shrimp, lobsters and crabs, so it is not an ingredient likely to be favored by vegetarians and it will probably be unsuitable for anyone who is allergic to seafood. 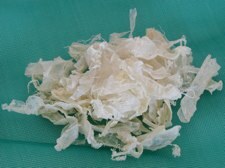 The body is unable to digest chitosan, and its natural fibers are credited with the ability to absorb and bind large quantities of fat (from food) and prevent it from being digested. The compound has gone under the microscope on several occasions, but test results are conflicting, so chitosan’s weight loss potential is far from proven. Tablets should be taken with water up to half an hour before eating “fatty” meals. For “enhanced results” Pharma Nord recommend combining the use of their B-Slenda tablets with regular exercise and a diet that is low in sugar and calories. Reading between the lines though, some of the marketing material appears to be designed to be particularly appealing to people who are looking for a quick-fix solution that will allow them to eat what they want without having to worry about the next time they step on the scales. “This product will support you in your attempts to obtain or maintain weight loss without drastic measures such as crash dieting, calorie-counting and abstinence,” say Pharma Nord, but dieters who are looking for a magic pill may be disappointed. No customer feedback is available. Try as we might we just couldn’t find anything worth reporting. Pharma Nord does not warn of any side effects, but allergies to seafood are quite common so it seems likely that the product will be unsuitable for many users, and the lack of a complete ingredient profile is particularly worrying. People should always be allowed to know what they would be putting into their body when taking any particular product and in this case they are not. Without sufficient information about the ingredients used it is impossible to say what side effects may ensue and that just simply isn’t good enough. Pregnant and Nursing mothers should avoid using B-Slenda and any other potential users should seek medical advice before use. Pharma Nord appears to be a respectable company with a good reputation for producing quality supplements, and B-Slenda is not a particularly over-priced product to buy, but we feel dieters may attain better results by investing their money elsewhere. Some fat binding ingredients can offer a positive contribution to weight loss, but they often work better when supported by other ingredient that provide other benefits such as fat burning. As a stand-alone product they still have merit, but the majority of dieters require a more multifaceted approach to weight loss. Our main reason for rejecting B-Slenda though, is the lack of a complete ingredient profile. Without this important information it is impossible to say what kind of results (if any) the use of the tablets may provide—or what side effects may result. Many better options are available. Most European citizens should not find it difficult to obtain B-Slenda. The tablets are stocked by many stores and online purchases can be made from Amazon or Pharma Nord’s online store. 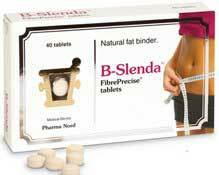 The recommended retail price for a box of 40 tablets is £19.95, but better deals are often available, so B-Slenda is not one of the more expensive weight loss options, but it is not, by any means , the cheapest and Pharma Nord fail to offer a money back guarantee. Its difficult to make a case for B-Slenda when products such as Garcinia Extra exist. 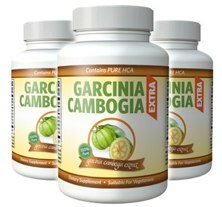 Garcinia Extra contains garcinia cambogia and raspberry ketone arguably tow of the most effective natural fat burners in existence. Garcinia cambogia is the plant based ingredient that has received an incredible amount of exposure in media due to its calories crunching properties.